New for this year the Baja 100 is stable and playful without sacrificing performace. Enjoy the lakes, rivers, or just relaxing anywhere on the water. The Fit is the ultimate fitness and touring SUP. The uncluttered standing area allows the Fit to be super-versatile for racing, touring, or recreational use. 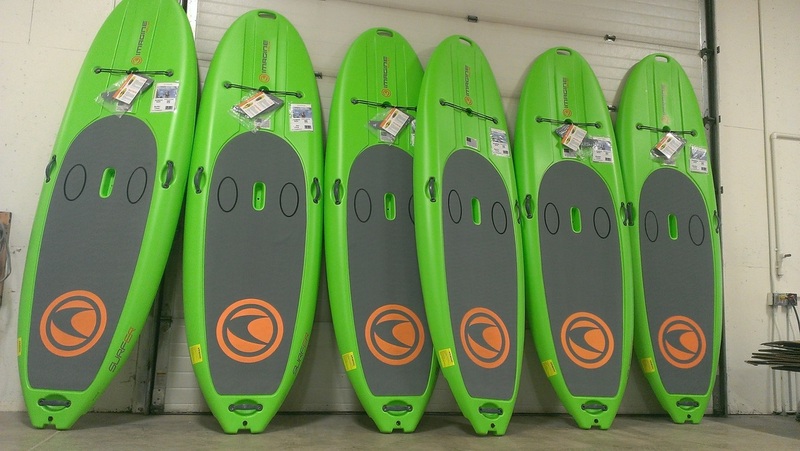 The Surfer is the ultimate board for anyone just getting into stand up paddling. 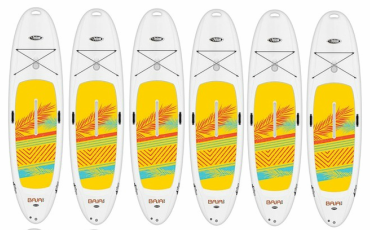 Wide, stable and easy, it will get you out on the water and feeling comfortable faster than any other board. This SUP is 6" thick and incredibly rigid. 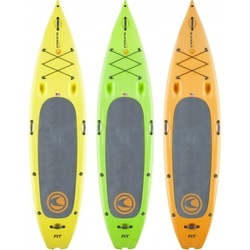 Diamond grooved deck pad with a rear kick tail, a 2+1 fin configuration with a removable center fin, a hand hold strap, a towing ring on the nose, and a leash attachment ring on the tail, a roll-up carrying strap, a high-pressure hand pump, and 3-piece adjustable paddle.